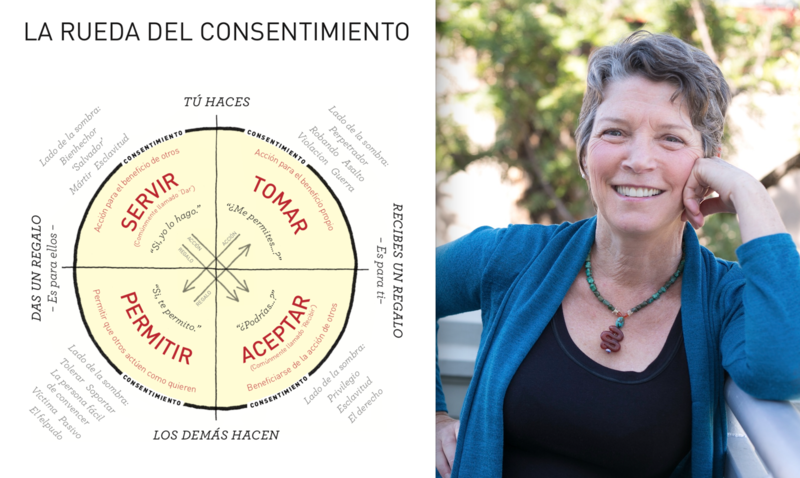 The Wheel of Consent by Betty Martin is a practice-based methodology that allows us to learn to touch in each of its two modalities: Touch for your own benefit, and touch for the benefit of others. Similarly, being touched by another person for their own benefit, or for our benefit. When practicing, we recover the pleasure of each one of the spaces, we learn to create it and revelations about us appear. To be experts in: Serving others (and the world), Accepting the generosity of others (and the world), Acting for our own benefit, and surrendering to others (and the world). This concept is revolutionizing the understanding of playing. Betty has been teaching in several countries for years, and now she is expanding this knowledge even more. Because of the demand generated by its effectiveness. In this video I explain a fundamental concept: What happens when we play, why it happens, and how to improve our experience to unsuspected limits. The Wheel of Consent by Betty Martin is a crucial discovery in my private and professional life. It is a present fact, and I know with total certainty that it will condition my future like no other learning has ever done. I’ve been practicing the 3-Minute Game for months, the simplest game I could imagine. And every time, every 3 minutes, is a great step towards self-knowledge, the expansion of pleasure and consciousness. I have presented the concept of The Wheel of Consent in an introductory course: The Art of Touching, and I have seen its effects in other people. On Thursday, February 8, I am going to take my first course with her, Betty Martin, in Belgium, willing to immerse myself more and more in each of the spaces. I do not want to repress my desire to share this discovery with you. In this video I describe the 4 spaces, schematically for their understanding. But it’s about practicing it. To practice download The 3 minute game. And tell me what you discover!. Keep in mind that the main difficulty is to give value to a such simple game, and of course to do it well, which requires a much more extensive explanation. Although it may help you to see the videos in the web site, where she explains it masterfully, in English. I hope to tell you the experience and news when I come back from the course. Please, ask me abut anything you feel.